At a whopping 150,000 square metres the imposing Shepherd's Bush Westfield Shopping Centre has the dubious honour of being London's largest shopping mall. Opened on 30th October 2008, bravely ignoring the first signs of a recession, this monster mall houses 265 high end shops and 50 restaurants, supplemented by a luxury spa and 14-screen cinema. The huge space includes a 18,580 square metre Marks & Spencer (bigger than its Marble Arch store) and a 6,500 square metre House of Fraser store split over three levels above a Waitrose. In the middle of the development is the Pavilion with glassed roof covering a central Atrium the size of a football pitch. Overlooking The Atrium, The Balcony is home to 13 fully licensed culinary counters while family-friendly eating options can be found in The Loft. The Village is the luxury quarter where 40 high fashion label shops can be found including designer names like Louis Vuitton, Tiffany and Mulberry. Leading US architect Michael Gambellini, known for his award-winning 'Top of the Rock' observation deck on top of New York's Rockefeller Centre, is responsible for the futuristic chandelier-lit design. What are the best dining options near Westfield London - Shepherd's Bush London? 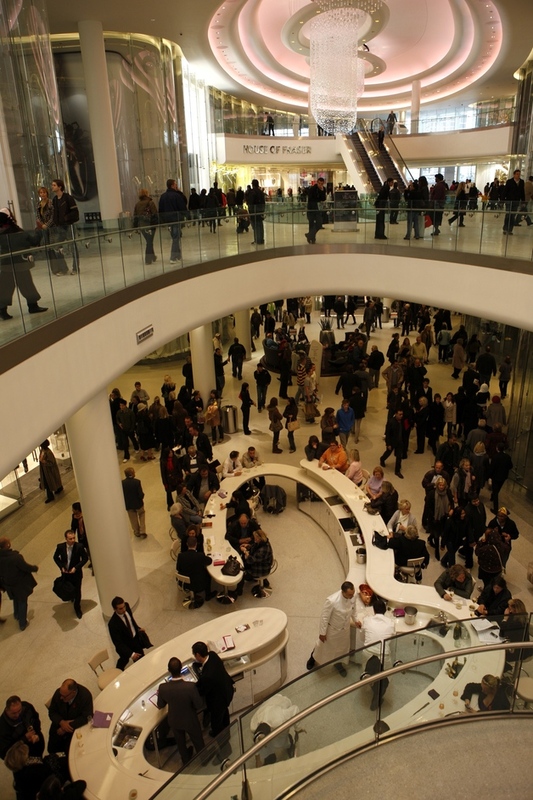 Westfield London - Shepherd's Bush gyms, sporting activities, health & beauty and fitness. The best pubs near London Westfield London - Shepherd's Bush. Westfield London - Shepherd's Bush clubs, bars, cabaret nights, casinos and interesting nightlife. Where to have your meeting, conference, exhibition, private dining or training course near Westfield London - Shepherd's Bush. From cheap budget accommodation to luxury 5 star hotels see our special offers for Westfield London - Shepherd's Bush hotels, including Hilton London Kensington Hotel from 87% off.